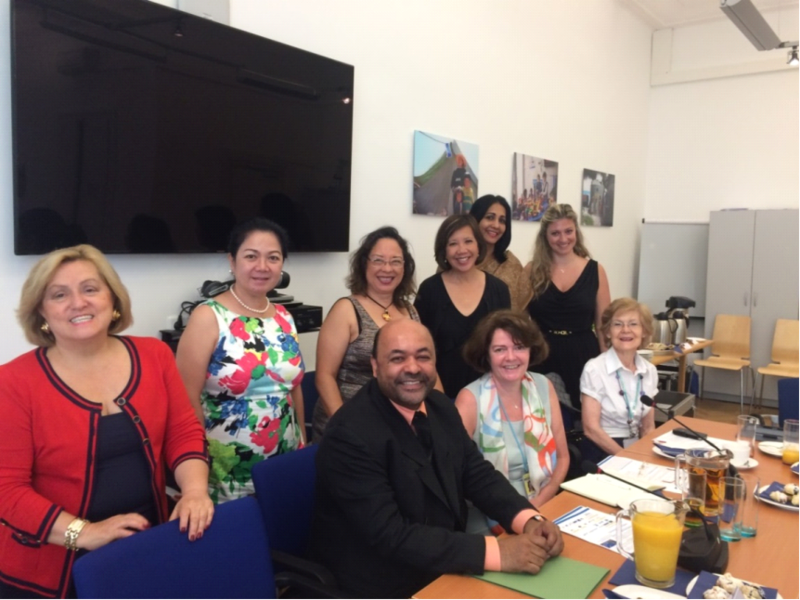 On 23 July 2015, for the second year in a row, the United Nations Office for Disarmament Affairs (UNODA) in Vienna briefed the Women Ambassadors in Wien (WAW) on the mandate and upcoming initiatives of the Office. This year, the briefing took place at the European Union Permanent Mission and was centered on themes of bridging the gender gap and moving towards gender balance in disarmament and non-proliferation, as well as the role which education can play in order to empower more women to increase their contribution towards peace. With these series of events, UNODA is galvanizing efforts from 21 partners to create the best condition for empowering women. Both the training courses and the Vienna Forum will aim to widen the number of young women professionals working in peace-related issues by tapping on a variety of professions that are related to this field. It also aims at bringing women already working on these professions into the disarmament and non-proliferation world, thus linking it with the development world and contributing to the implementation of the Sustainable Development Goals. Participants highlighted the need to ensure coordination with other Vienna-based entities already empowering women on peace-related issues. In this regard, they recommended that UNODA should network with the Women in Nuclear (WiN) and the Women in All Things Nuclear groups, among others, that have been active players in Vienna. Thiswould also help build on each other’s potentials and resources, increasing their impact and the added value of UNODA. UNODA also invited a member from WAW to be a part of the DNP Education Partnership Steering Team. 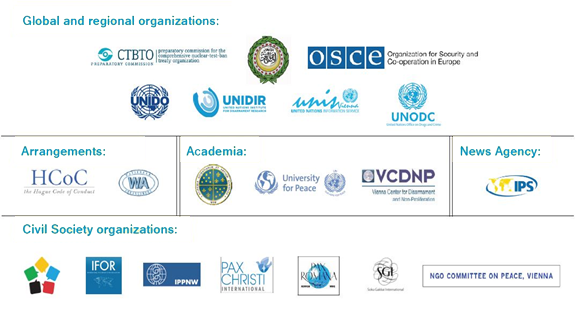 The Team, comprising of ambassadors and other diplomats from permanent missions in Vienna, regional organizations and NGOs in Vienna, is responsible for steering the DNP Education Partnership by providing advice and strategic guidance on ways and means to develop this initiative in the next five years.